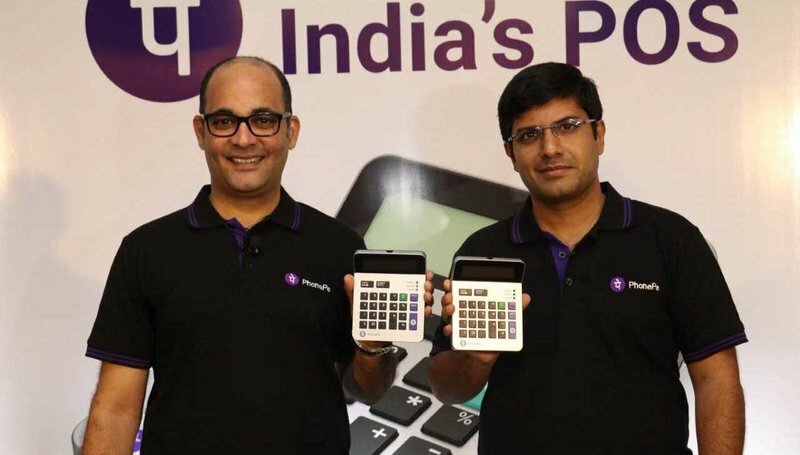 Home News PhonePe launched Smart POS Device (Calculator) Which Works Without Internet ! 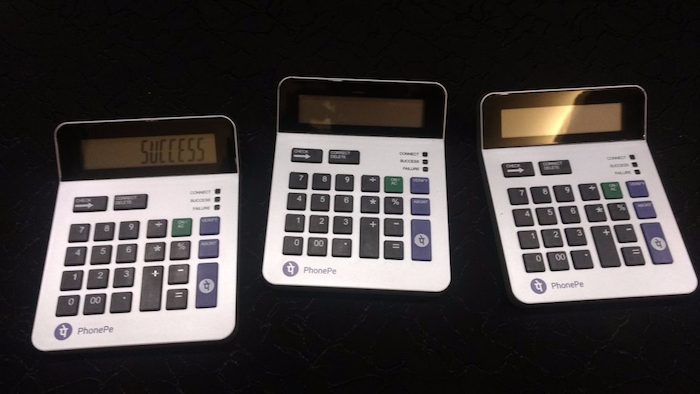 PhonePe launched Smart POS Device (Calculator) Which Works Without Internet ! PhonePe Smart POS Device: Flipkart’s PhonePe has launched their first ever POS (point of sale) smart device for merchants in India. The device resembles a traditional calculator, and it supports the new technology that has support for transactions over a Bluetooth connection. The POS device is a unique approach for payment solutions in India, and it is meant to serve all merchants from general stores, petrol pumps, food chains, etc. Through POS device, payments are now easier to make. You need to have a phone with the PhonePe app installed, and the merchant should enter the transaction amount through the physical keys of the device and records it by hitting the giant PhonePe button. Once this is done, you just need to bring the smartphone close to the POS device, and it will automatically identify the merchant and the amount to be paid. The merchant doesn’t need an active internet connection for transactions and for payment confirmations either. Customers will get an alert whether the last transaction was successful or not on their mobile devices. PhonePe says that it is the lowest costing POS device in the world and has no scope for misuse. The POS device works on AA battery, and the company claims that it can last up to 8-12 months. PhonePe is set to roll the POS device from Bengaluru followed by a country-wide rollout. The POS device will be available for free to merchants against a security deposit. “The PhonePe POS will help accelerate the pace of digital inclusion for millions of local merchants and customers in India,” said Sameer Nigam, CEO PhonePe.